Affordable books in English about the Imjin War are few and far between. This book was not only affordable, but it was source material, written by Yu Seong-ryong, a man who was deeply involved in both the political and military affairs of the Choson Korean State during the invasion. 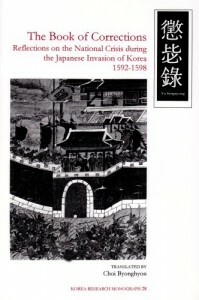 Anyone interested in Korean (Or even Chinese or Japanese) history should read this book.